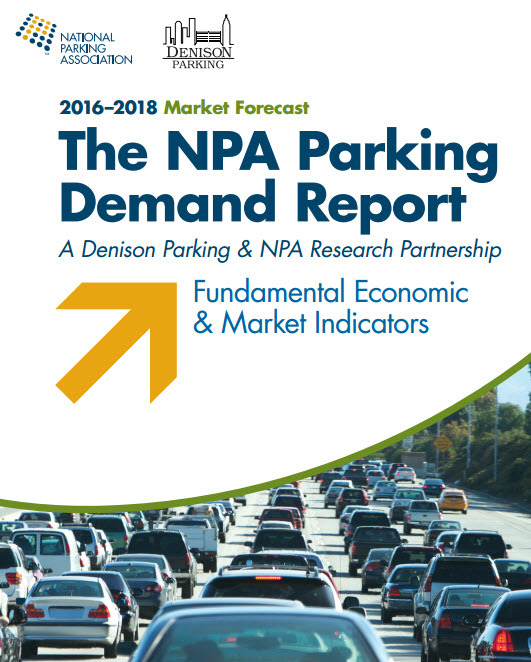 The National Parking Association (NPA), in cooperation with sponsor Denison Parking, has undertaken a major research study to analyze the diverse fundamental economic and demographic factors underpinning parking demand. The purpose of this study is to understand the long-term demand potential within the parking industry. This is a longitudinal study and reflects trends shaping the industry. This study is the first of its kind to assemble substantive research data, analyze the data and draw correlations between market conditions and their relationship to the parking industry. The complete study analyzes private sector, municipal, college/university and hospital/medical center trends in detail, identifying market size, changes in the marketplace and factors impacting demand. This report provides an in-depth analysis of the macroeconomic, demographic, employment,travel and industry statistics that measure the potential of parking demand. Parking demand is a function of a number of factors, all working in tandem to affect demand and usage. When looking at macroeconomic, demographic, employment, and industry statistics, we see a picture of patterns that influence parking demand in North America. However, while data suggests positive events on the horizon for the parking industry, there are a number of risk factors, such as increased taxes and increased government regulation.